If you think you know belly dance, think again! Chicago-based troupe Spellbound adds a modern spin, featuring crisp group formations and theatrical flare, while headliner Michelle Sorensen stuns audiences with her fierce, cutting-edge style. Add a variety of guest artists from around Chicagoland, all led by the sassy and sultry stylings of emcee Eva La Feva, and this unique evening of entertainment is not to be missed. So mark your calendars and buy your tickets… because Winterlux is coming! Winterlux will be on January 26, 2019 at 8 pm at the Filament Theater located at 4041 N. Milwaukee Avenue in Chicago. This intimate and opulent spectacle is sure to bring audiences to their feet. Based in Salt Lake City, UT, Michelle Sorensen is a professional Belly Dancer with nearly a decade of dedicated dance training. She began her studies under the direction of Kismet School of Dance (American), Kashmir Dance Company (ATS & Tribal Fusion), Trisha Mcbride (Tribal Fusion and Experimental) and more recently Rachel Brice (8 elements Phases 1 &2, Initiation and Cultivation Certified) and Stephanie Buranek (Cabaret/Egyptian). She has also sought continued instruction through workshops and other events from some of the most innovative dancers in and out of the belly dance scene. Along with bellydance, she has discovered a love for the Aerial Arts, Exotic Dance, Contemporary Dance and Dancehall/Twerk. “Cross-training” in these genres of dance has helped her with stamina, strength, flexibility and finding her own artistic voice. Spellbound is a premiere modern fusion belly dance company creating innovative group dance choreographies in Chicago. Led by artistic director Eliza Perry, this dynamic group of dancers always lives up to their namesake by keeping their audiences captivated with crisp isolations, theatrical flair, and unparalleled group precision. Spellbound is honored to be hosting the legendary Michelle Sorensen at the Winterlux Workshop/Performance Weekend! Eva la Feva is a nationally touring burlesque and belly dance performer/producer that has been delighting audiences for over a decade with her fluid, stylized dance technique and her emotive and theatrical approach to burlesque. In Chicago, Eva is a regular performer at Untitled, The Drifter, House of Blues, and is part of local dance troupe Fringe Factor. Eva is the founder of "Feva Pitch Productions," an event production company specializing in burlesque/nightlife entertainment, and co-founder of Burlesque Community Against Unsafe Spaces (BCAUS). Belly dance credits include the internationally touring show Bellydance Evolution, the MAQAM Belly Dance Challenge (2nd Place, Pro Tribal Soloist), and performing as a backup dancer for Bollywood star Shefali Zariwala. She was Level II certified in the Suhaila Salimpour format from 2009-2011. Q: How do I purchase tickets for Winterlux? Tickets can be purchased in advance for $25 at https://winterlux2019.brownpapertickets.com. Tickets may also be for sale at the door for $30 (depending on availability), so purchasing advance tickets is highly recommended. Q: How can I sign up for workshops with Michelle Sorensen? Visit our workshop page to register for workshops with Michelle Sorensen. Q: Where should I park if I'm attending Winterlux? Q: Where is Winterlux in relation to Arabesque, where the workshops will be held? Click on each artist's image to learn more about each performer. Hard working and dedicated students of Arabesque can find themselves enjoying their classes for years on end, and many performing troupes makes for generous opportunities to showcase their newly honed skills! Choreographed by Sonya, please welcome Stacy, Donna, Jessica, Hayley, Courtney, Lindsey, and Heather as Arabella. Asha’s passion for dance began with a mother/daughter belly dance class at age 5, and she started training with the Natya Dance Theatre Academy at age 8. As a member of Natya Dance Theatre, she has performed at Harris Theater, the Field Museum, the MCA, Pritzker Pavillion, and community outreach programs throughout the Chicagoland area. In 2014, Asha completed her Arangetram, representing her ascension to the stage as a solo artist. Drawing from a family history rich in music and dance, Asha also sings, plays several musical instruments, and has added forms such as hip hop, popping, and modern to her dance studies. 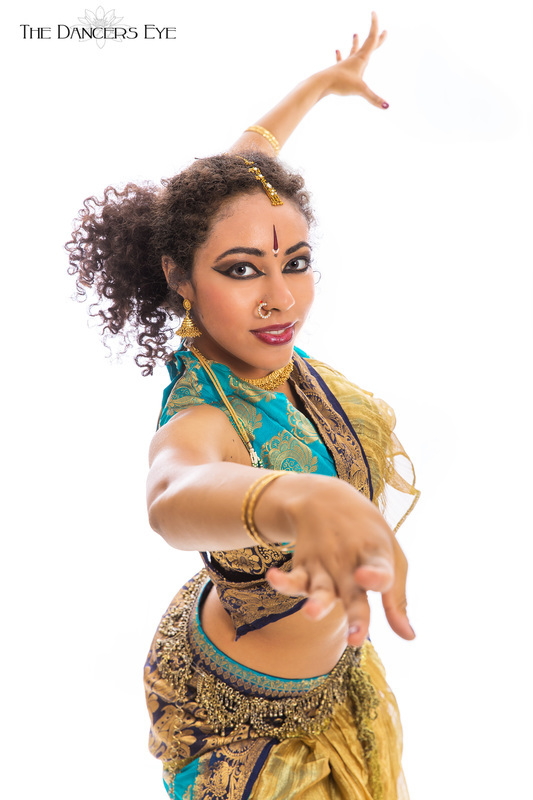 With her multicultural background, Asha brings harmony and unity to the stage through dance and inspires audiences to see beauty through her artistry. Ami Amoré is a lifelong artist, starting with drawing, painting, fashion, B&W photography and finally, her discovery of bellydance in 1999. Ami has a wide list of accomplishments but is most proud of her drive to make her many passions a sustaining career. With years of hard work and determination, she currently boasts two dance troupes – Exotic Rhythms (started 2006) and Mosaic (in 2012). She teaches several classes per week and is a sought-after performer, choreographer, yoga instructor, workshop presenter and a successful show producer/event host. Ami created her own jewelry line and is now doing printmaking and painting under her brand, Amorticious. Based out of Chicago's Arabesque Dance studio, BellyRing combines improvisation (ITS) with spots of choreography to give every performance a unique, high energy result. Drawing from traditional belly dance styles and movement, BellyRing also incorporates elements from other world dance styles and a variety of music from Persian rap to 80s pop. BellyRIng is made up of Eliza Perry, Christiana Raqs, and Mara Wolff. Founded in 2005, Jezebelly is a Chicago-based professional belly dance troupe characterized by their modern, "tribaret" (part cabaret/part tribal) combinations and their neo-vintage choreographies. In addition, Jezebelly has a signature improvisational tribal style (ITS) repetoire. Jezebelly members include Eliza Perry, Jennavieve and Megan Hartmann. Mahira has been dancing and performing for over 20 years with a strong dance background of ballet, jazz and tap. Her Middle Eastern dance styles include; American Classic Style Belly Dance, Modern and Classic Egyptian, Improvisational Tribal Style (ITS) and Tribal Fusion. She also dabbles in salsa and Argentine tango. Matt Griffo an internationally touring musical comedian that pairs original compositions with comedic lyrics. Skilled on both the ukulele and piano, Matt has toured in Copenhagen, the U.K., and all over the United States. He's been featured on both FunnyorDie and Buzzfeed. His performances are “both toe-tapping and rib-tickling," according to the Chicago Sun Times. Pop Raqs is a collaboration between Lisha and Miz Marqui. Their mutual love of Bellydance and camp has compelled them to come together to create this playful zill piece. Inspired by her Armenian-Lebanese roots and passion for dance since childhood, Rose embodies the true heart of Raqs Sharqi (Arabic for “Eastern Dance”), aka “belly dance,” engaging in the traditional art of improvisation – becoming one with the music in the present moment. An international, lifetime performer of 500+ shows and counting, Rose has over 15 years’ experience as a teacher & choreographer of multiple styles, and 20+ years of training in ballet, jazz, and modern dance, as well as various somatic practices to awaken internal awareness. Rose has studied Middle Eastern dances – primarily Egyptian & Lebanese Raqs Sharqi, Lebanese & Palestinian dabke (folk dance of the Levant), and Iraqi Kawliya dance, among others – with masters in her father’s native Lebanon and across the globe. Rose has also performed with renowned musicians in Egypt, and completed her level-four certification in Journey Through Egypt – a dance ethnology program led by internationally-recognized anthropologist, Sahra Saeeda, M.A. – in 2018. Rose studies the Arabic language, as she strives to create culturally sensitive and authentic dance pieces, bearing in mind each song’s origin and meaning, aided by her family, translators, and her own research. Rose loves sharing this knowledge with her students at her beloved home studio, Arabesque Chicago. Sonya is a full-time Oriental dance instructor, performer, choreographer and owner of Arabesque Belly Dance Studios. Beginning her career in 1999 Sonya's choreographies and performance style has won multiple competitions. Holding several certifications in different aspects of Mid-East Dance, she delights in the new and exciting innovations seen in our dance. Sonya strives to elevate the public’s perception of this art form, promoting the dance with beauty, dignity and grace. Sonya’s Student Troupe. More info coming soon.